This week we knew it was possible that we wouldn’t get many strong players, as the Chicago Open had ended just the day before, and many of our regular GM participants might still be in Chicago. We were right, as the only GM that was able to make it was Alex Stripunsky, who finished in a tie for second place in Chicago (Note that in all 58 weeks, we have never had a week in which no GM’s showed up). Fortunately we still had a decent attendance as we 15 players competing for the grand prize. Also this week there is some great news! The final round of the NY Masters is now being broadcast LIVE on chess.fm, ICC’s chess radio station, which has hundreds of listeners. Chess.fm has plans to eventually broadcast the entire NY Masters event, which would also lead to mentions of all sponsors during the broadcast. So from now on, every Tuesday, tune into chess.fm for live audio coverage of the New York Masters, with master commentary (IM William Paschall commented on this week’s event)! 4	Salman – Milman LIVE GAME! The shocker of round one was Privman’s draw against GM Stripunsky. Not only was the result surprising but more surprising was the manner that it was achieved. 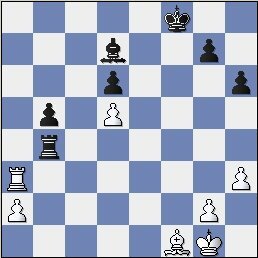 Privman was simply down two pawns for nothing in a rook endgame, and somehow managed to get Stripunsky to go into a rook + f + h pawn versus rook endgame. Privman had a drawn position, but botched it up to give Stripunsky a winning chance, but in his time trouble and perhaps his exhaustion from just having returned from Chicago, he missed his chance and a draw was agreed. 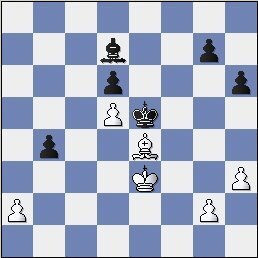 Our filler, Larry Tamarkin also managed to draw against a higher rated player with a two pawn deficit, as his rook+1 pawn held Gershov’s rook + 3 pawns to a draw. Let’s see how the two Long Island players, FM Joel Salman and rising star, FM Lev Milman would do against each other…. 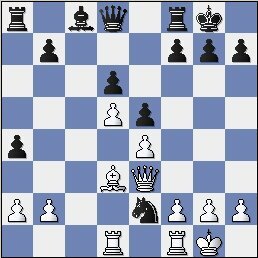 31…a4 32.Rxd5+ Kc7 33.Ra5 a3 34.Rd7+ Kxc6? This was Lev’s chance! Salman informed me that Lev missed a win here with 34….Kb6, thus stopping Rda7. A VERY important idea in this kind of endgame. If white gets to play the move g4, he will have great winning chances. 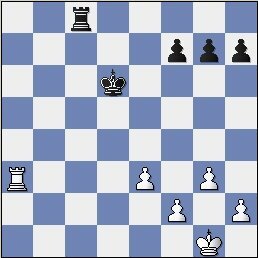 The idea of h5, is that now if white plays g4, black gets to trade off a set of pawns, and the more pawns that are traded in this position, the better chances black has to draw. It was pretty generous of Salman to offer a draw here. He only had 50 seconds on the clock, but with a 5 second increment there is really no possibility to lose the game, but surely still a 10-20% chance of victory. 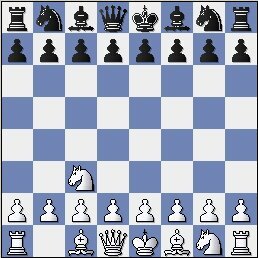 1	G.Shahade – Bonin LIVE GAME! We had a horde of players entering this round with a half point bye, but there were only 3 undefeated players going into round 2. One of them was knocked off by Stripunsky, who cleared the cobwebs from his first round draw, and beat Bryan Smith. 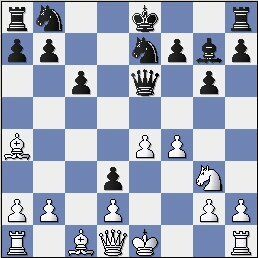 4.Nf3 Bg4 5.Be2 Bxf3 6.Bxf3 e5 7.0-0 Be7 8.Be2 Bg5 9.f4! A strong move, keeping black’s king in the center. 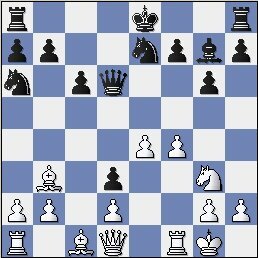 19...Qb6 20.Rxg7 Nxc4 21.Qxc4 Qxb2 22.Re7 Kb8 23.Nd6 Rhf8 24.h3 Rf2 25.Nf7? Winning instantly. 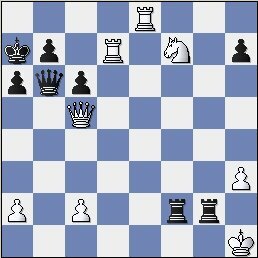 White has to make every move with check, as black is threatening perpetual check with Rh2-g2-h2. Fortunately Rxb7 accomplishes this goal. Jay resigned, as white can simply capture on g2 next move. 1 G.Shahade – Stripunsky LIVE GAME!! Milman moved to 2.5/3 with his win over Furdzik, but since he has school the next morning, he almost always takes a final round bye, thus leaving him with 3/4. The other player with 1.5, Joel Salman, went down to the hands of Jay Bonin. With his win Jay moved to 2/3. 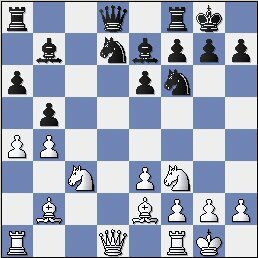 For those avid chess fans out there, you may recognize this opening setup from the 2nd game of the Deep Junior – Kasparov match. This game eventually ended in a draw. 18.Qe2 was better, discouraging ….f5. 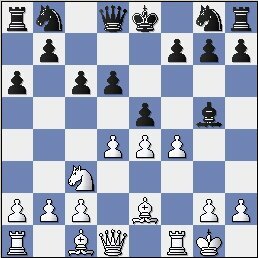 I didn’t play 18.Qxe2 because I was worried about 18….Qb6, but Qb6 is not checkmate. 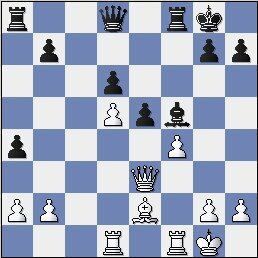 I can simply play Rc1, and double on the c-file and white has a slightly better position. After Be2, black wrests the initiative. Stripunsky is confident that his active pieces will lead him to victory in an endgame…. 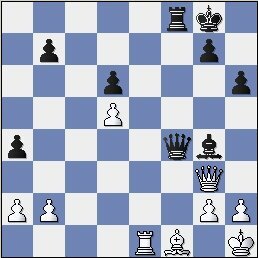 30.Qxf4 Rxf4 31.h3 Bd7 32.b3 a3 33.Kg1 b5 34.Re7 Rf7 35.Re3 ! 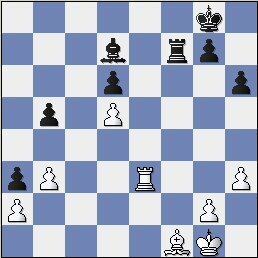 With the idea of b4….If black plays …b4, white picks off the b-pawn with Re4. A big mistake. Better was 40.Ra7, keeping the rook active and on the board. 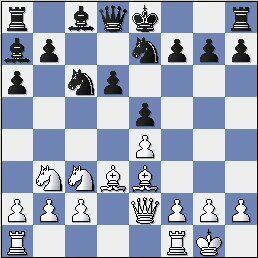 For instance 40.Ra7 Ke8 41.Be2-f3, and the position is roughly equal. 40…Rd4! 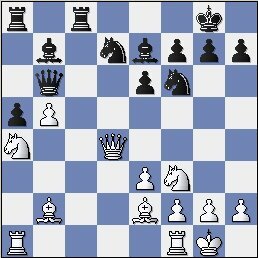 41.Rd3 Rxd3 42.Bxd3 Ke7 43.Kf2 Kf6 44.Ke3 Ke5 45.Be4 b4! Now white is lost, as black is going to play …Bb5-c4 and pick off the pawns. I was down to a few seconds on the clock, but there is no chance for defense anyway. Stripunsky moves back into first place with this win. He is tied with Milman with 2.5/3, but don’t forget that Milman requested a last round bye, thus Stripunsky can guarantee clear first place with a last round victory. 1 Bonin – Stripunsky LIVE GAME!! 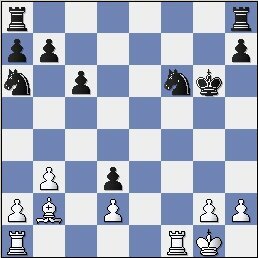 I was brutally attacked by Dmitry Shevlev in a Keres attack sort of Sicilian, but he wasn’t able to finish things off, and my counterattack was too powerful. 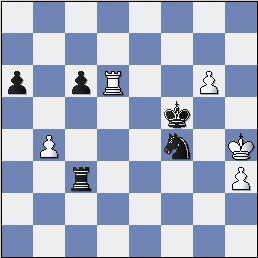 Thus I now finished with 3 points, along with Lev Milman, and we hoped that Jay could either draw or defeat Stripunsky, thus making 3 points enough for a 3 way first way split. 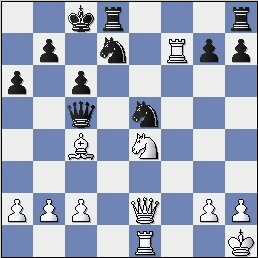 Jay Bonin was in the same spot the previous week, with the white pieces against GM Yudasin, and a chance for first place. 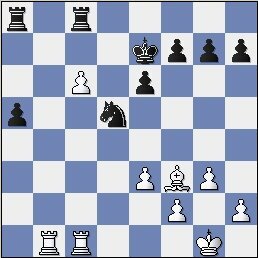 Last week he had a drawn position but decided to get ambitious and it showed to be his demise, as he blundered a piece. Will he remain more levelheaded in this final round encounter…. 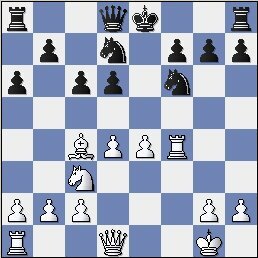 1...d5 2.e4 d4 3.Nce2 e5 4.Ng3 Be6 5.c3 g6 6.cxd4 exd4 7.f4 Ne7 8.Nf3 Bg7 9.Ng5 Qd7 10.Nxe6 Qxe6 11.Bb5+ c6 12.Ba4 d3! Oh man…look at Jay’s bishop on c1!! Jay sacrifices a piece! 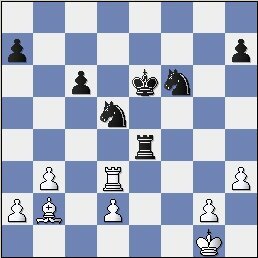 I suppose he felt some measure of desperation, with his bishop stuck on c1. And Stripunsky keeps the extra piece, and Jay is in serious trouble, without even a pawn to show for his piece disadvantage. Now it’s just a mop-up job, an unorthodox opening and a desperate sacrifice gone terribly wrong for Jay Bonin. Oops! 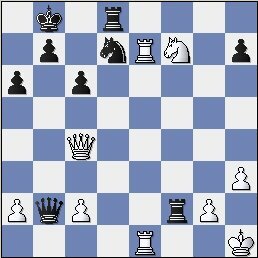 There is no way for white to stop …Rxh3! A splendid comeback by Alex Stripunsky, who managed to erase the psychological effects of his terrible first round draw, and come back to win three straight games. Stripunsky’s result was good for $420. This is really not bad considering that a tie for 2nd in the gigantic Chicago Open was only $1500, yet the tournament takes many many days, and you have to figure in costs for airfare, hotel room, food and etc, whereas in the NY Masters, you just hop on the subway and play for a few hours! Lev Milman and Greg Shahade tied for 2nd place with 3/4, and each received $115 dollars. The U2400 prize went to two first round bye receivers, as Figler and Furdzik got 2.5/4. Figler beat Privman in the final round and Furdzik had a nice win against FM Bryan Smith. Next week the top GM’s should be back in action, see you then!